HomeCpanelHow do I unsuspending account in WHM account? How do I unsuspending account in WHM account? Step 4. 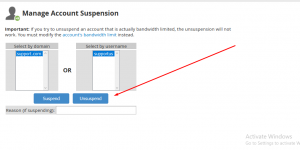 Finally, click on the button Unsuspend and your account will be unsuspended in few second.